Maintaining your luxury vehicle means bringing it in for routine maintenance. 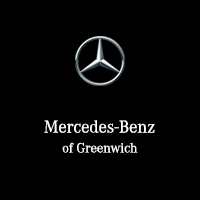 Luckily, when you choose Mercedes-Benz of Greenwich for service, you can use our auto repair and parts specials, and when you’re stuck, Mercedes-Benz Roadside Assistance will bring you to us. Whether you need new tires, brake service, or Mercedes-Benz key fob repairs, you’re sure to find something for you in our rotating service specials. Need a part for your GLC or E-Class? We have those too! So next time you bring your Mercedes-Benz in for service, you can be sure that you aren’t overspending on routine service procedures and OEM Mercedes-Benz parts. Be sure to check out our brake service specials and more online before making your way from Rye to our service department! Our experienced technicians will be standing by to get you and your Mercedes-Benz back on the road as quickly as possible. Schedule service today.